Discussion in 'Effects, Pedals, Strings & Things' started by p.mo, Apr 26, 2016. Pedal trends are fun to watch. First there were just pedals - some were good and some sucked. Boutique ONE KNOB wonders... with maybe a single tone switch. These will take the best settings of the best loved many-knobbed pedal creations and strip them down to a single knob. It's happening already. By NAMM 2017 one knob will rule them all. Pizza, Cgkindler, Anacharsis and 2 others like this. I find whether or not a pedal has useful knobs to be a make or break consideration when buying pedals. I want to be able to fine-tune pedal settings. I have a few very good amps that only have a single Tone control. They sound *so* much better if I use an outboard EQ pedal to match them to the room. bloomz, Cgkindler, coltonius and 2 others like this. The DOD 250 gets so hyped right now. You can really see that in many threads. But at this point I don´t gonna jump on that train. Yeah I know, I´m missing the dirtpedal of my life, of course. But that´s okay for me folks. I love the vids of this guy right enough. One knob wonder! p.mo, the tourist and KnowTalent like this. Not sure if I could do one-knobbers. One knob trem - Nope! One knob reverb - Maybe, for spring only. One knob fuzz - Maybe, but my Tone Wicker BM is super flexible depending on how loud the amp is and how much gain/volume I need. One knob Phase - Same as chorus - unless the knob controlled both speed and rate somehow? ThinPaperWings and coltonius like this. Hasn't that trend already been around? Sure a few new releases have popped up, but I think it's already been a trend for sometime now.. I agree @Matt Ivaliotes I prefer having more options. Except for preamp or boost pedals, I have zero interest in any one-knobbers. Part of the fun for me is tweaking. let's take it one step further...NO KNOBS! broken_sound, MrLahey, ThinPaperWings and 4 others like this. I like the overall premise of trends. They can be quite fun to watch play out here on TGP. TheRealDeal, Rhythm Rocker, ThinPaperWings and 1 other person like this. How about no knobs, plus real top jacks? TheRealDeal, ThinPaperWings, Cgkindler and 1 other person like this. love the no-knob stuff, too. but I think we have to work thru the one knob fad before we fully embrace the no-knob. i have faith we'll get there. 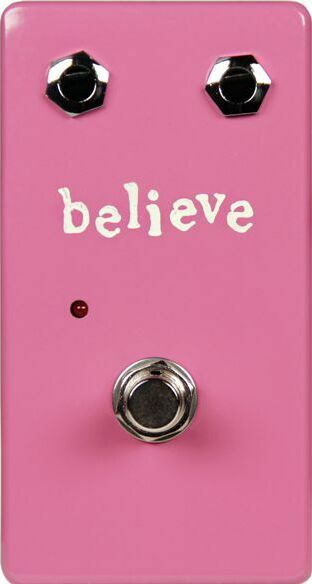 Isn't there a whole line of small boxy colorful pedals that have no knobs, just a footswitch? I think @justnick did a demo of them? I predict pedals with ALL switches and knobs internal. I mean, can't have enough of a good thing, right? I like the idea of a one-knob pedal- especially if it has technology to adjust multiple parameters at once. Think Hall of Fame Mini + TonePrint editor: you can have that knob change 3-4 things, at once at a rate you determine. Super cool! The disadvantage, though, is no on-the-fly tweaking. I imagine that's a huge deal breaker for players who use a venue's backline. By NAMM 2017 one knob will rule them all. Henretta Engineering. Surprisingly versatile, actually. I love 1 or 2 knobbers. I've always been drawn to less knobs because while I love tweaking as much as the next guy, I feel like I'm always one knob adjustment away from perfection. Remove most of the knobs, and you can refocus on your hands. Cgkindler and p.mo like this.